Acknowledged author Joseph William Singer wrote Property Law: Rules, Policies, and Practices (Aspen Casebook) comprising 1200 pages back in 2017. Textbook and etextbook are published under ISBN 1454881798 and 9781454881797. 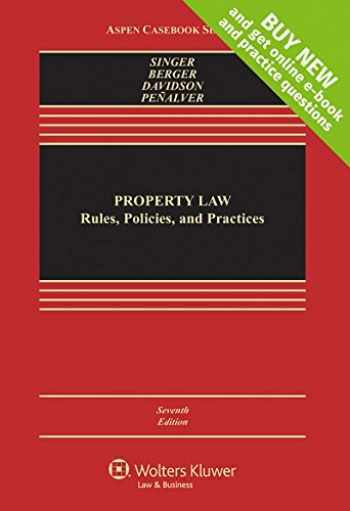 Since then Property Law: Rules, Policies, and Practices (Aspen Casebook) textbook received total rating of 3.5 stars and was available to sell back to BooksRun online for the top buyback price of $69.50 or rent at the marketplace.